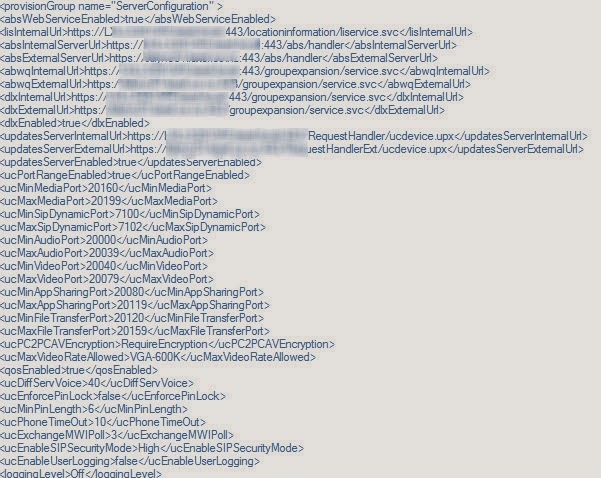 MRAS generates the credentials needed for external media by Lync users outside the local network. Before an external user can initiate any type of A\V traffic the Edge server will need to obtain credentials that will allow it to relay A\V internally on behalf of the external client. You should find 3 messages. The Second MRAS message (SERVICE) shows the service request from the Lync Client to the Front End for credentials to chat to the Lync Edge. You will always see this second MRAS message once the first is seen as its simply the client responding. 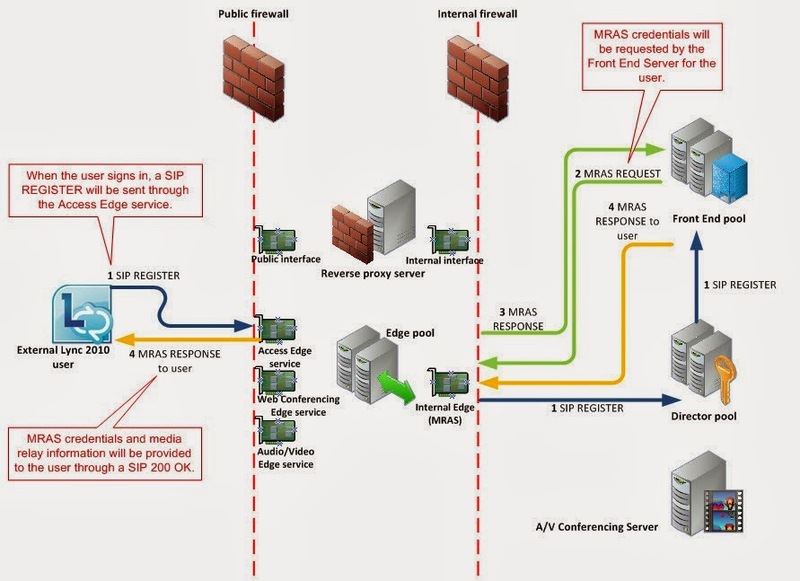 The Third MRAS message (SIP 200 OK) is a response from the Lync Front End providing credentials, location, and the HOST NAME of AV EDGE and the ports to use for media. External clients need to get the External FQDN of the Edge Server here and internal clients need to get the Internal FQDN of the Edge Server – This is the server name that the client needs to connect to for establishing media. If there is an MRAS error in message 3 (eg Timeout) then there is a connectivity issue between Edge and FE (eg FW, DNS).